Gayatri Employ Solution ( Gayatri Solution Group ): Gujarat Government E-Yojana Teb 2017. 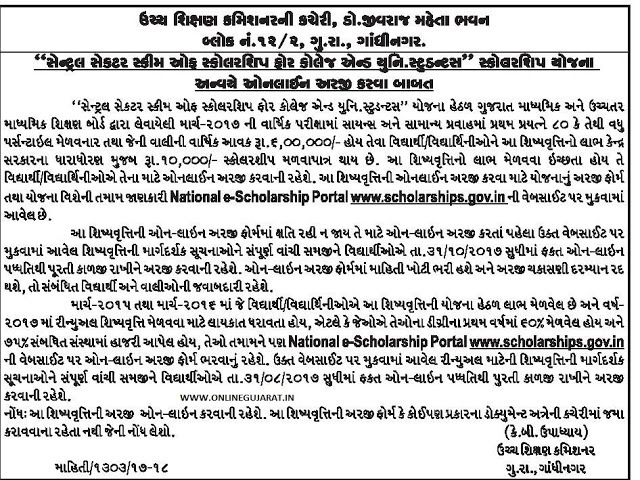 - National Scholarship Portal 2017–2018. Gujarat Government E-Yojana Teb 2017. - National Scholarship Portal 2017–2018. Gujarat Government E-Yojana Teb 2017. Central Sector Scheme Of Scholarship - National Scholarship Portal 2017–2018.